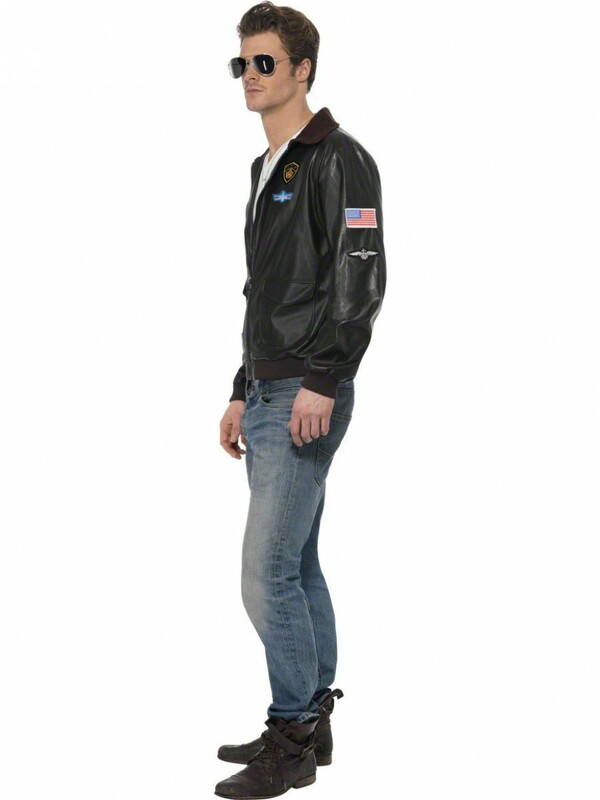 This licenced Top Gun Bomber Jacket is in faux leather with embroidered badges for a slick look. Available in four sizes. 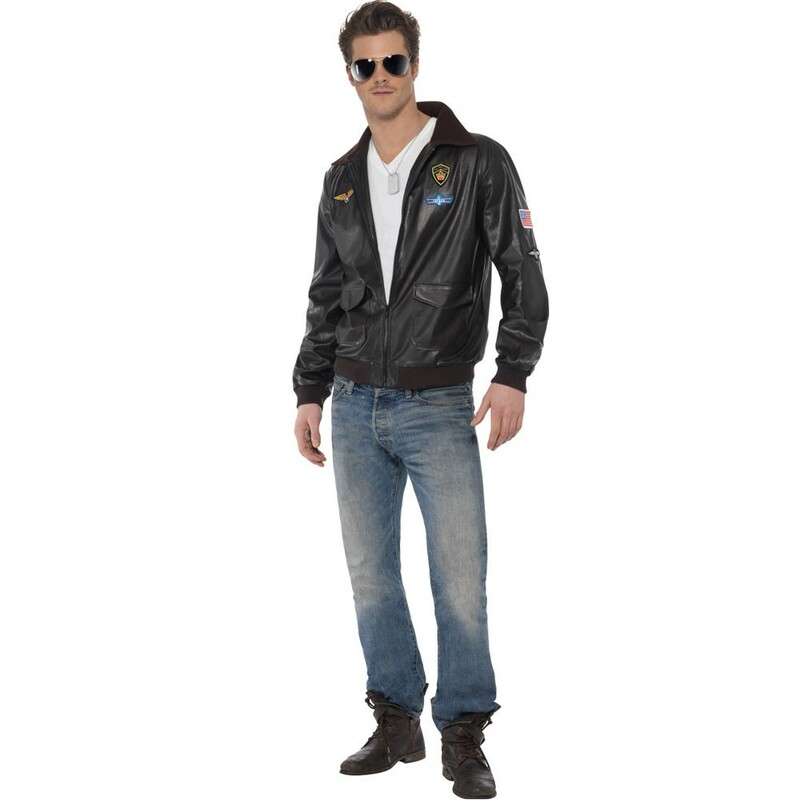 This Top Gun Bomber Jacket is an officially licenced item based on the iconic ‘Maverick’ character (played by Tom Cruise)! Simply team up with jeans and a t-shirt for Mavericks ‘off the clock’ look! Ideal for 80s themes, film character outfits or any fancy dress occasion. 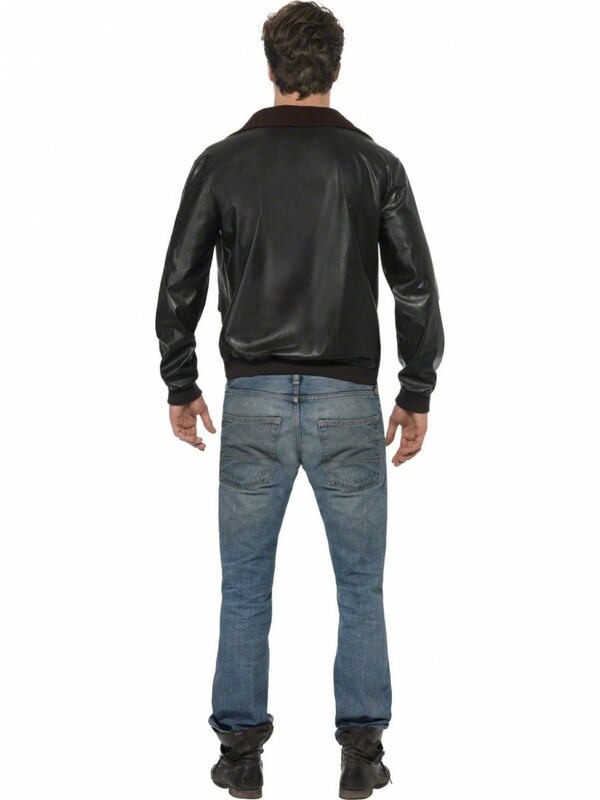 The jacket is in dark brown faux leather with a fleece collar and rib knit elasticated cuffs and hem. The embroidered badges create a really deluxe look and include the American flag and Top Gun logo! The jacket fastens at the front with a zip fastening. The front pockets are also ideal for keeping all your essentials in!